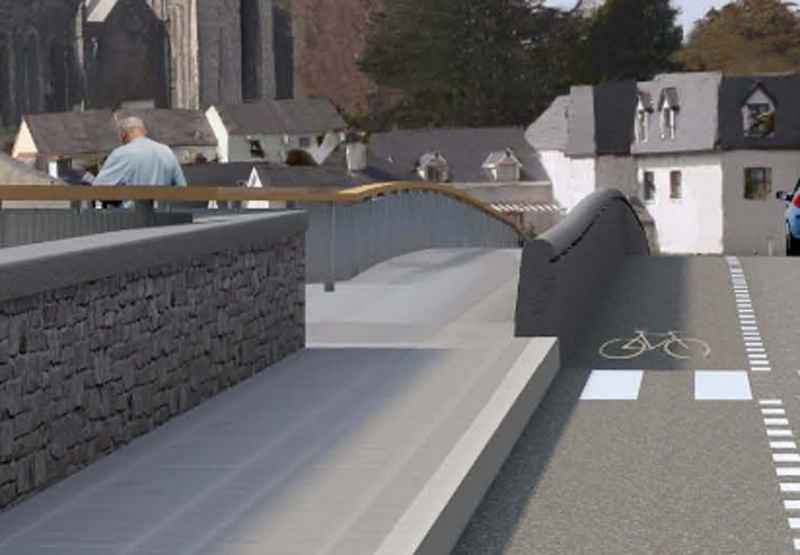 Above is an image of the CAS bridge as presented by Mr John Mulholland to the Kilkenny Rotary Club 28th July 2014. Note the pronounced bend in the road. Note also the building arrowed yellow. 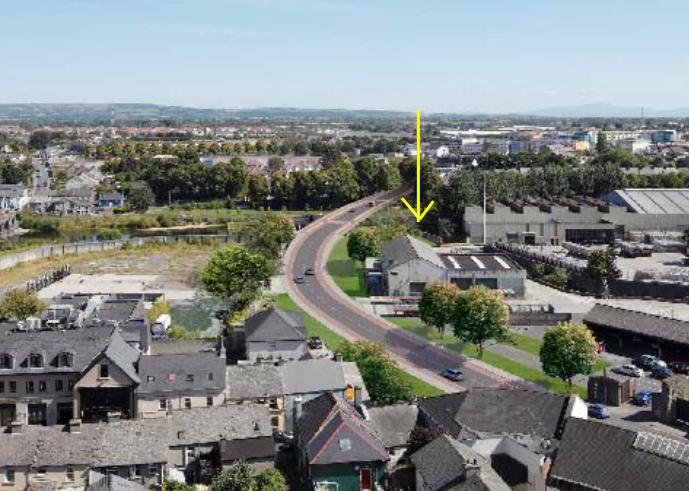 At the time of planning approval, the City of Kilkenny had not yet acquired the former Diageo site and so the CAS was planned to go around this building. 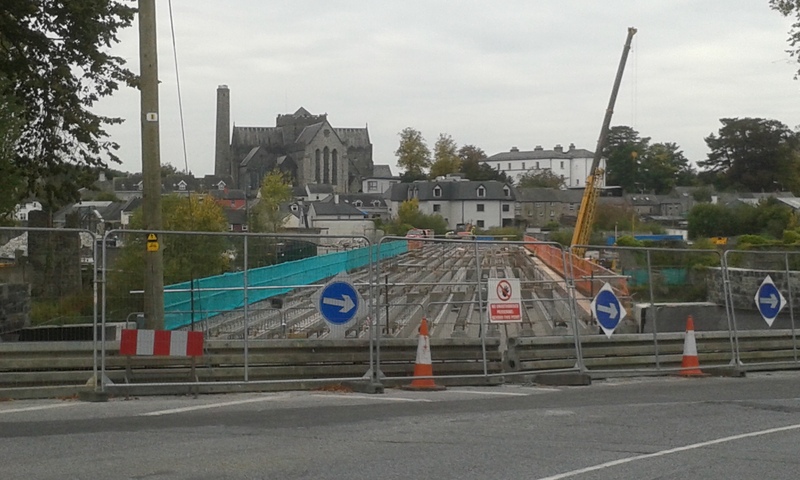 Hence the bridge had to cross the Nore at an oblique angle (as if it was n’t bad enough to have a motorway style bridge in the middle of medieval Kilkenny). Here is what a straight right angle crossing would look like. So where is this precious Diageo building now ? Completely demolished. So now we have a road bridge that bends around nothing but rubble. So would n’t you think when news of the Diageo bequest came to light, that the CAS planners and Council would review the design? Of course the speed at which the CAS phase 1 was rushed through the council in May/June 2014 says enough. With mounting opposition they were afraid of their lives the project would stall. Yep. That’s more like it. As flat as a pancake. 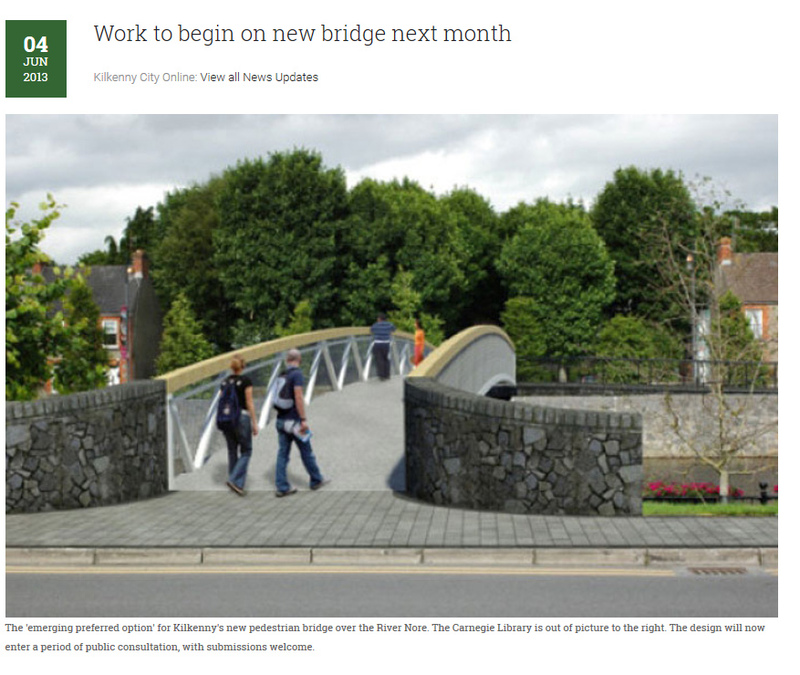 The same deceit was passed off when the first images of the meccano bridge emerged (sorry I mean the Lady Desart bridge). 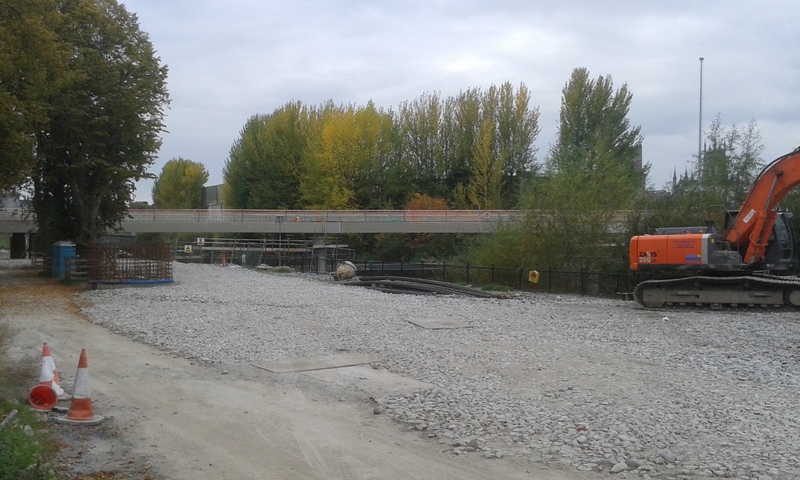 Another image of the emerging CAS bridge. Proud to be a Kilkenny Cat ! 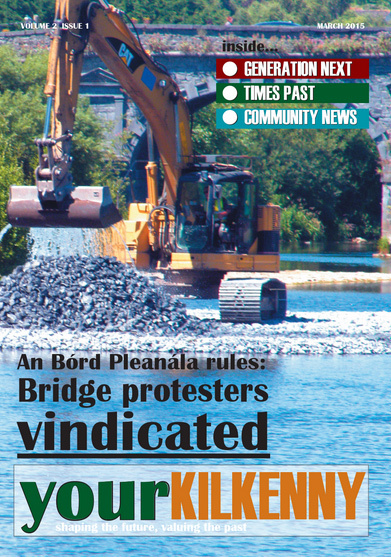 About 8/9 months ago, give or take; Kilkenny county council threatened protesters at the KCAS instream works site with injunctions; today Kilkenny county council have agreed to change the manner in which they (regretfully) continue to build the hated KCAS because these same protesters got organised- raised money- from busking to skills auctions, cake sales, car boot, jumble sales and donations- and injuncted kkcoco! 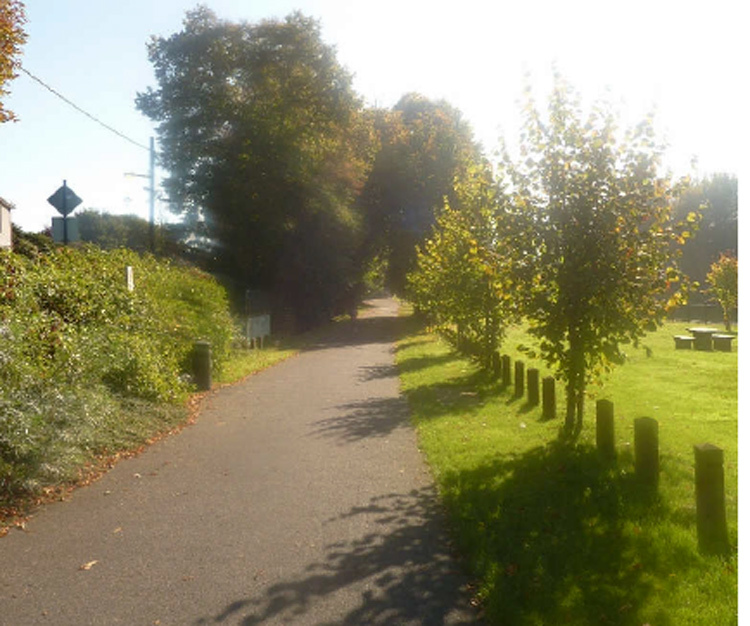 Today kkcoco have agreed to pay costs and work in a more environmentally friendly manner; that is, from the river bank. They have been held accountable- not by our councillors but by ordinary local people; especial thanks to Chris who had the guts to take this case. 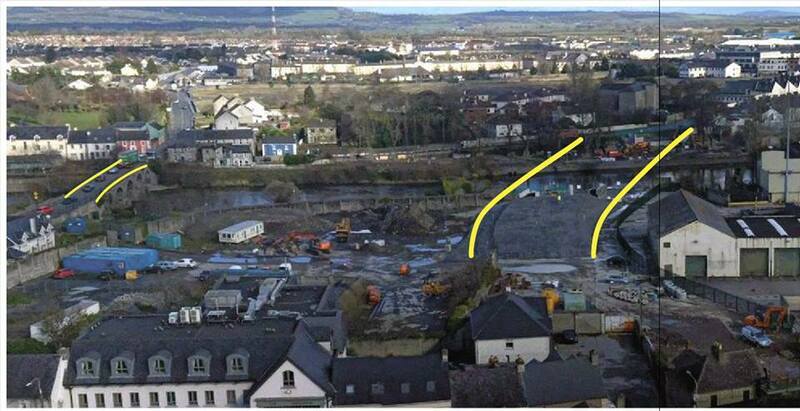 I would like to hear the council reassure the people of Kilkenny that no significant adverse impacts to this cSAC river have happened. I hope our councillors do likewise. Never more proud to be a Kilkenny cat! 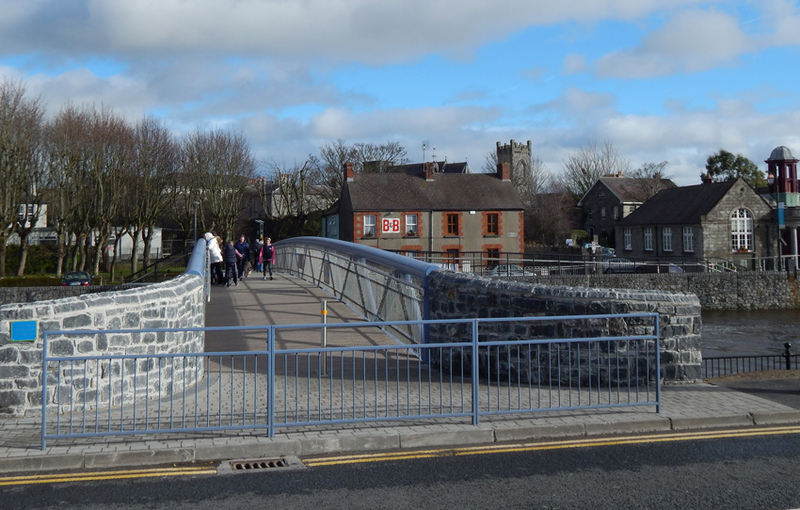 Christopher O’Keeffe v Kilkenny County Council: Settlement of High Court Proceedings. 1. 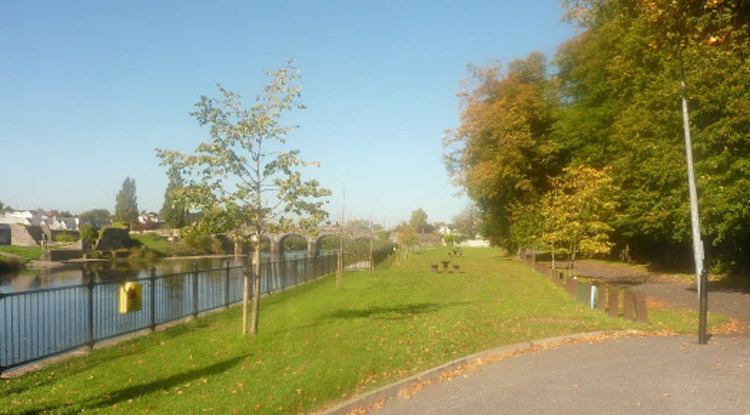 Kilkenny County Council will work in compliance with permissions, specifically using long reach machinery from the bank of the river. 2. The nature of this case was in the Public Interest. 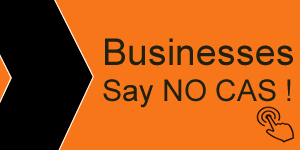 In agreeing to this settlement Christopher O’Keeffe has acquired the High Court sanctioned undertaking that he sought from the outset, and that forced him to take this action. 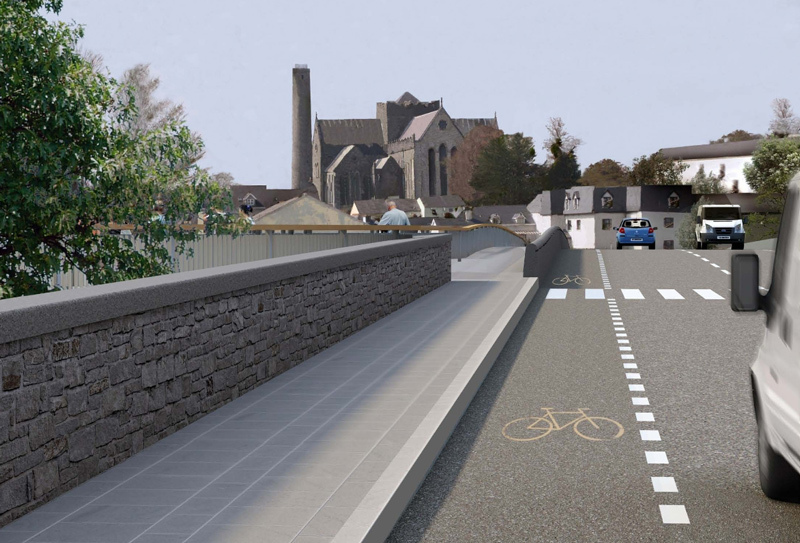 Kilkenny County Council will now work from the riverbank, using long reach machinery, in order to mitigate environmental damage. In the Order of costs the Court acknowledges the public interest and environmental protective nature of this case. 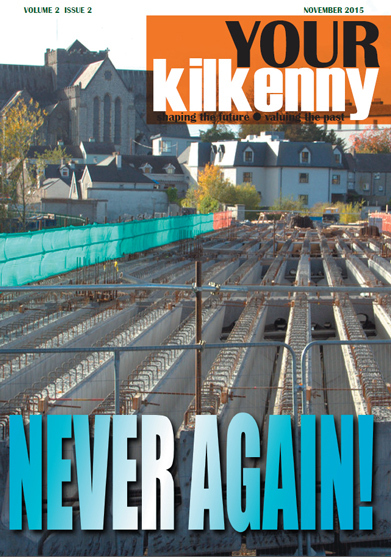 The settlement negates the need for a lengthy and costly High Court hearing, saving the people of Kilkenny considerable monies, in the event that Kilkenny County Council lost this case in the High Court, particularly where Kilkenny County Council made a choice to force the most expensive form of hearing. Mr O’Keeffe regrets, that despite his best efforts, it was not possible to establish this method of working, as the accepted one, much earlier in these proceedings, thus avoiding all costs. He further regrets that there is currently no other avenue for citizens to pursue, in situations such as this, other than costly court actions, as there is no Ombudsman or Regulator in place that can deal with such concerns in a timely and cost neutral manner. 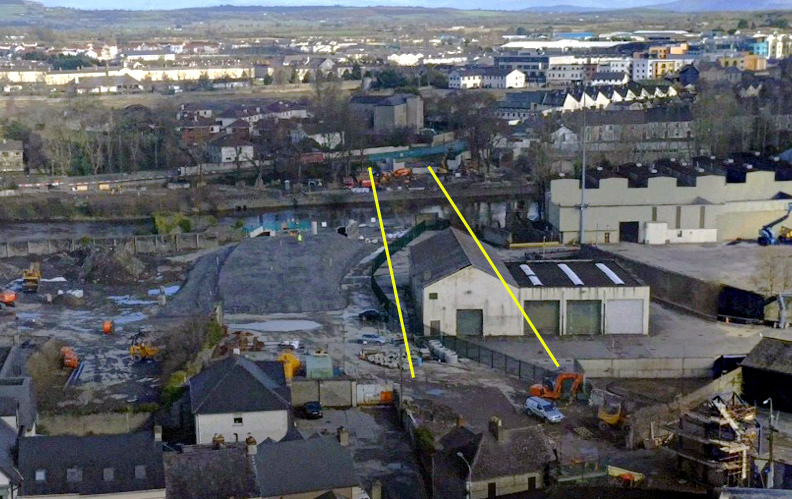 Compare the size of the leading stages of the CAS bridge (outlined on right in yellow) to the much dwarfed Green’s Bridge in this recent photograph taken from the Round Tower. Truly horrendous. Also compare the destruction so far against the same view from the Tower, taken in 2009.